For millennia the knowledge of the true nature of reality has been denied to humanity. Religion has offered false hopes and beliefs about the plight of humanity and science has divorced itself from what it means to be truly human. In a world where science and spirituality have ceased to complement each other in the search for meaning, we are still left pondering the questions: What is it to be truly human? Why is the world in the state it is? Why is there evil? Is our way of life the best one possible? What is the reality of higher worlds? What is the nature of the divine? And most importantly, what can be done to better ourselves and humanity? A synthesis of science and spirituality, the Fellowship of the Cosmic Mind is the first and only modern reconstruction of the PaleoChristian tradition, offering time-tested answers to the questions that have plagued the human heart and mind for all its history. In a time when true science is suppressed and the reality of spirit is denied, the Fellowship offers protection from the toxicity of modern society, programs that promote physical, mental, and spiritual well-being, and communities that bring all this into practice. The Fellowship offers a new way of life, a new future for humanity. Official membership in the Fellowship comes with responsibilities to both the Fellowship as a whole and to the community at large, as well as practical benefits to ensure members’ physical and spiritual well-being. Members are given spiritual guidance relating to Mind, Body, and Spirit. Members are given practical and scientific guidance relating to the detoxification of the Mind, Body, and Spirit through simple dietary recommendations as well as the revived ancient techno-spiritual Eiriu Eolas Breathing and Meditation program. Members are afforded legal protection of Fellowship rights as defined in the Statement of Principles. The Fellowship consists of open circles of Membership which are structured in such a way that a Member’s level of participation is entirely up to the individual. The Fellowship now has three living communities where PaleoChristian principles are put into practice in a communal living environment. One community is located in North Carolina, USA, the others in South Western France. The communities house the brothers and sisters of our spiritual order, and are open to the general public. For more information, see our Communities section. The Fellowship is growing at a phenomenal rate, and welcomes new members from all faiths and walks of life. 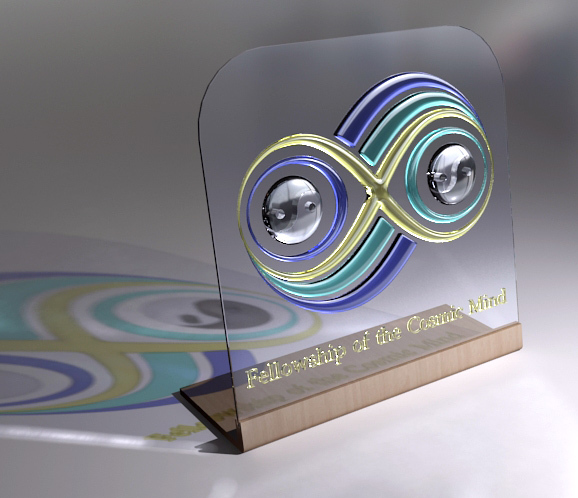 Membership in the Fellowship of the Cosmic Mind is a commitment to Truth and all that such a commitment entails. As such, it should not be chosen lightly. Deep reflection should be given to the choice to devote oneself in service of the Cosmic Mind. Join the Fellowship today by simply filling out the Application for Membership!